MARTIN manufactured the D-35S between 1966 and 1993. The D-35S had a rosewood body with three-piece back and D-35 appointments. 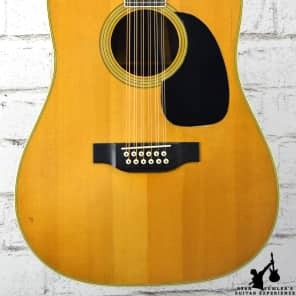 The three-piece back of the D-35s allowed the use of more narrow pieces of precious Brazilian rosewood which was used until 1969: Indian rosewood was used thereafter. The top was spruce construction, selected for both tone and beauty. Neck of mahogany with slotted headstock, 1.78“ at the nut and joined to the folk-style Dreadnought body at the 12th fret. Ebony bridge and fingerboard. Lacquer finish, polished to a mirror-like gloss. 2012 $2730.00 new Richard Custom Shop New Build, Waverly Tuners, custom 1-3/4" neck width at the nut, bone nut and saddle, 3-piece east Indian rosewood back and sides. Take the MARTIN D-35S price survey. 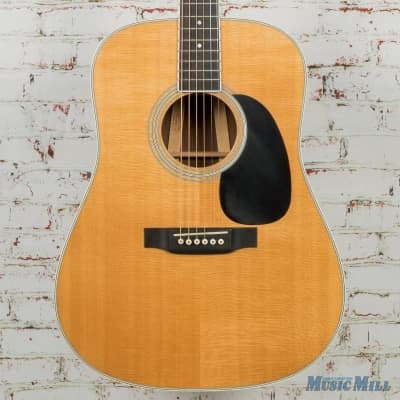 Buy MARTIN D-35S acoustic guitars.